It is time for all of us to open up to the world. To open our hearts and risk exposing our true selves to others. We have held back long enough from being who we really are. It is time to spread our wings and fly forth into the world no matter the risks and share ourselves with all those we meet on a deep and loving level. We have hidden away all the parts we fear are tainted or will not be accepted. First of all, who is to say if we are even correct about our assumption? Secondly there are no bad parts to us. We are who we are, all parts of us, and all of these parts make up who we are. This is what living an authentic life is all about. Finding the courage to offer all of yourself to the world, holding nothing back, not making judgments upon yourself. The world is a giant stage filled with millions of actors running around all wearing costumes and masks. Who are these people, really? Once again the dark ones programming led us all down that dark road into self-doubt and no self-worth! All the advertising on TV kept telling us we were not good enough as we were. We needed make up and hair coloring, anti-depressant drugs, self-help programs, diet pills. The barrage of messages we received about why we were not worthy as we were, was endless! Worse than that we believed it! This meme must end and we must rebuild our trust in ourselves. Trust seems at the heart of the matter. Trusting ourselves first, then reaching out and trusting the universe. If we can’t trust ourselves and can’t believe we are fine with who we are, there is no way we will ever trust in the universe who provides for everything we need. Not only must we accept the fact that our government has lied to us all since the beginning, but more important is for us to recognize the damage it has done to our abilities to trust. Being in denial of this truth will bring you nothing of value, just a first class ticket on the train back to 3D when all is said and done. If you truly wish to advance yourself, shift your consciousness and move on to a better world, then face the facts, digest them and then let them go. So what stops us from trusting? In short, fear! Fear of risk, fear of disappointment, fear of revealing who we really are by taking off our masks, fear of being vulnerable, fear of not being accepted. Countless fears too many to name them all. Where does this fear come from then? It comes from not trusting and believing in ourselves. It is a full circle journey and almost all of our issues repeat this same journey back to ourselves. We hear over and over by others, change begins with us. Are you beginning to see why it always ends back up with ourselves? Unless we are secure with who we are, we feel we are worthy of our lives we have been blessed with and we truly know ourselves, it will always boomerang back to the same place. If we want change, that change begins within ourselves first! Yes there is risk in opening ourselves up but so what. It should only be a worry if you are not strong enough and secure enough in yourself to deal with the risks and what they may bring. Imagine a world where no one wore masks and their lives were an open book, no guessing or assuming. This will be what our world will be like when we all master mental telepathy. We will know everything, from who is lying on down. The world will be an open book. Governments will no longer be able to hide what they are doing, all knowledge will be available to all people. The possibilities are endless, a bit daunting but in the end freedom. The world as we have known it has been one big lie and coverup on some level or another. We really have no idea what a life of pure honesty is all about. Hopefully soon we will begin to experience it for ourselves. When you open your wings you are opening the door to the cage you have been living in for so long now. This journey into self-understanding and change is what our lives were always meant to be about. Sadly we were hijacked and all of that journey was forgotten as we struggled to survive. It is now time to journey again and play our part in saving the world by bettering ourselves. 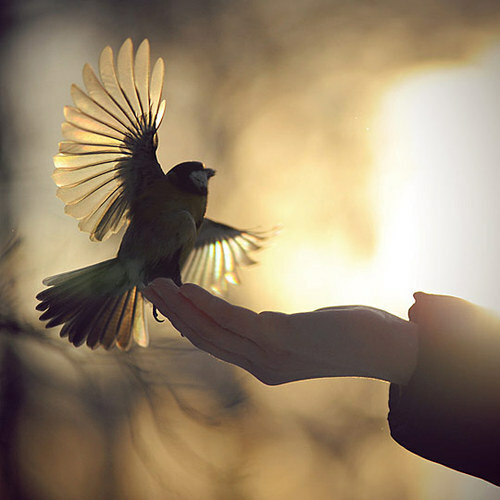 Open your wings and fly! This entry was posted in Article, Links, reblog and tagged 13 June, 2012, Disclosure, Earth, news, Open Yourself Up!, spiritual, Spiritual evolution, Visionkeeper, World. Bookmark the permalink.